Who's raising the bar in social TV right now? Find out in this brand new MIPBlog series! Introducing “Today’s Best Social TV”, a new series of blog posts by MIP Markets content partner VAST MEDIA. Each post will feature three case studies, outlining how networks and agencies are furthering social TV innovation right now. Prepare to be inspired! 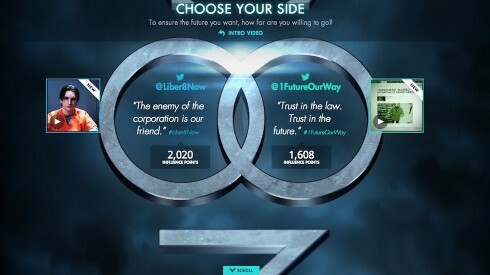 In late May, SKY Brazil teamed up with digital agency Isobar to launch a hashtag-based recording service on Twitter. Canadian broadcaster Showcase recently revealed a Vine-based voting campaign for its sci-fi drama Continuum, to determine which one of two pre-produced season finales would be aired. Accompanying season 2, the broadcaster published Vine videos on the format site, through the official Continuum Twitter account and on its Facebook page after each broadcast episode – going deeper into the story and providing insights. The six-second web-exclusive videos focus on the pro- and anti-Liber8 conflict within Continuum, referring to a group of self-proclaimed freedom fighters which the series centres on. Fans could share these videos with the handles @Liber8Now and @1FutureOurWay or create their own Vine videos. Additionally, fans could use the handle @ContinuumSeries with one of the dedicated hashtags #Liber8Now and #1FutureOurWay to post their own videos. Each mention counted towards a side of the conflict, which the user picked by sharing with the dedicated handle. Showcase has produced two season finales with different storylines. The to-be-aired season finale depends on the voting results of the campaign. Selected participating fans were rewarded with merchandise and social shout-outs by cast members. The Showcase campaign was launched in cooperation with the Canadian interactive agency Secret Location. The Weather Channel launched the programme initiative Tornado Week in late April. To promote this week full of tornado-related programming, The Weather Channel started a campaign on Twitter. 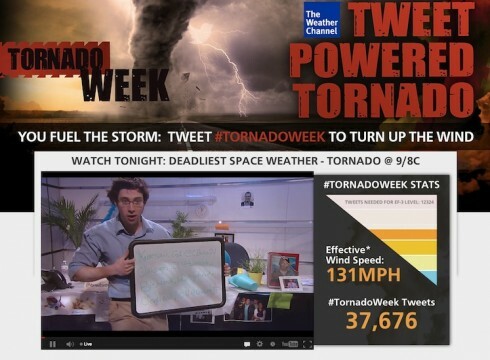 By tweeting the hashtag #TornadoWeek, users could influence the wind force inside an office of The Weather Channel. People could watch the scenario via livestream on YouTube. Every mention of #TornadoWeek raised the scale and boosts of the wind. The broadcaster said it would turn up the wind to the equivalent of an EF-5 tornado inside the office, if users generated 1,000,000 mentions on Twitter. Viewers could also tweet to the interns in the office by integrating @TornadoWeek into their tweet. A dedicated website was set up, allowing people to keep track of all the actions during the Tornado Week. Besides programme announcements, users could look at tornado galleries, inform themselves about Weather Channel personalities and get tornado news. Additionally, The Tornado Hunt 2013 was part of the Tornado Week following a channel expert who travelled through the country seeking for tornados. More soon: meanwhile, check out all of VAST MEDIA’s MIPBlog posts here!